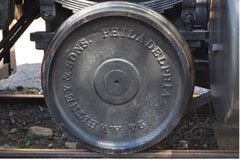 Many thousands of companies have had connections to railroading. They might have been utilities, parts manufacturers, suppliers, or just about any kind of company in any kind of industry. Finding and proving thin connections to railroading is very time-consuming. My experience suggests that the harder it is to discover a company's relationship to railroading, the more remote that company is from the core of the industry. I do not catalog companies far-removed from railroading. Those kinds of companies stretch the definition of railroading far beyond the intent of my original goal. Railroad specialists have proven they have limited interest in certificates from off-topic companies. I know this explanation sounds arbitrary, but stick with me a couple minutes. 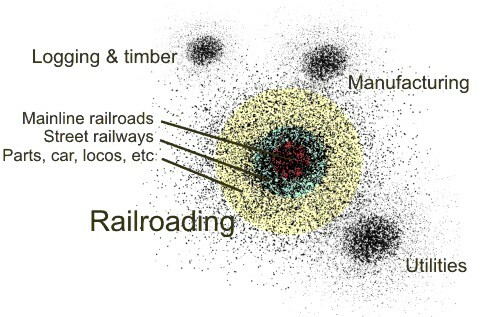 Here is an analogy that illustrates how the definition of railroading affects my project. Imagine a cloud of millions of dust particles. Every particle represents a company that incorporated somewhere in North America and the Caribbean islands after the mid-1820s. Within that cloud are various areas – some large, some small – representing different industries. One part of the great cloud is an area called "railroading." Now imagine "railroading" as a roughly spherical collection of companies surrounded by hundreds of thousands of other companies and industry areas. At the center of the railroading sphere are companies everyone agrees are true mainline railroad companies. Those are companies such as the New York Central, the Union Pacific, and the Baltimore and Ohio. Some distance from the center are closely related companies such as street railways, interurbans, connecting railways, and belt railways. They were not massive, mainline freight haulers, but they intended to haul freight and passengers over rails. Most collectors agree those kinds of companies are railroads. Still further from the center, are particles representing equipment manufacturers, car builders, railroad service companies and holding companies. This is a region of greater disagreement. Most people say these kinds of companies are not railroads per se, but they are close enough to railroading to be included. At some indistinct point, the railroading sphere ends and other industry areas begin. At that point, the generally agreed-upon definition of railroading stops. As fuzzy as the edge of the railroading sphere might be, the distance from the center to its outside edge represents the agreed-upon definition of "railroads." Near, but slightly beyond the railroading sphere are companies with peripheral rail involvement. Some people choose to group them with railroading, but the majority think they would fit better in other industries. Because their relationships to railroading are tenuous and subjective, companies far from the center of the railroading sphere require an odious amount of time, energy and research to prove connections. Our current definition of railroading includes 23,500 companies from within the cloud of millions. If we allow our definition of railroading to expand by only 5%, our theoretical collection of companies would increase by over 3,700 companies. In other words, a very small change in definition greatly magnifies the number of companies we would need to catalog and deal with. But here's the rub. What would we gain if we expanded our definition of railroading? Obviously, we would significantly increase the numbers of companies and certificates that need tracking. However, with few exceptions, railroad certificate specialists do NOT concentrate on the edge of railroading; they concentrate on the center. 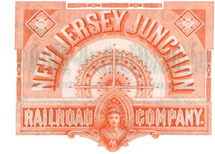 Primary railroad specialists would gain essentially nothing of interest by adding companies at the edges. This is not conjecture. I previously included over 2,300 logging, lumber and timber companies in the railroad database. I originally cataloged those companies because they operated thousands of locomotives and tens of thousands of miles of track. I reasoned logging and timber companies were very close to railroading. I genuinely thought railroad specialists would be interested in collecting such certificates. It turned out that railroad specialists were thoroughly uninterested in logging company certificates. No one, not a single collector, ever corresponded with me on the subject. If railroad specialists – the people I catalog for – are uninterested in logging and timber companies, why would they be interested in companies greatly more remote from the core definition of railroading? I must therefore conclude that any expansion in the definition of railroading is nonsensical. Wasting time trying to prove obscure companies are related to railroading does not help collectors. It certainly does not help me.